Blending themes of morbid corporeality with a colorful aesthetic indebted to comics and cartoons, Nychos has developed a unique style that resonates powerfully whether in a gallery or on the streets. Raised in a traditional Viennese hunting family, death and dissection were a daily business for Nychos. 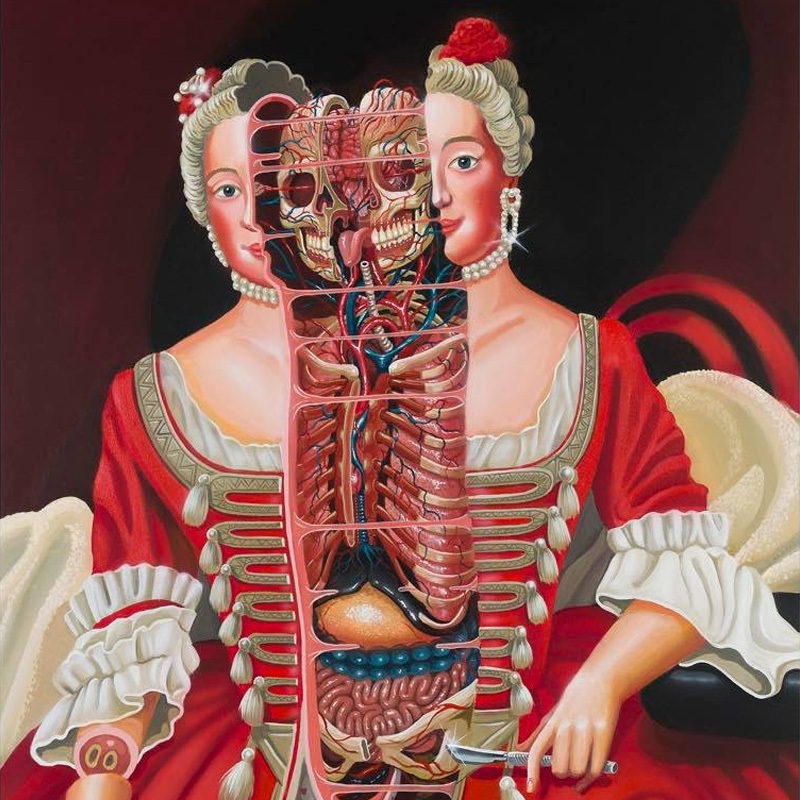 This had a profound effect on him psychologically and visually – he now explores the theme of dissection in his art, pushing it to playful extremes. In Nychos’ world, Spongebob has a skeleton, people live inside rabbits, and there is always something wicked hidden beneath the surface. Pumped up on the visual adrenaline of comics, heavy metal and graffiti, Nychos’ work reflects the immense energy and technical focus necessary to produce work on a massive scale as he does. Nychos slices up animals and innocent childhood characters with unflinching graphic precision. His work is confrontational, using the shock of cartoon violence as a vehicle for exploring subtler themes of mortality and temporality. Nychos pays homage to these immortal cartoon heroes by peeling them open and giving them human substance. His artwork reflects the psychology of an art scene in which creations are sometimes swept away as soon as created. Nychos also seamlessly weaves political commentary into his pieces with subtle images such as plastic in an orca’s belly. Using bright colorscapes and wild lines to create his characters – whether with paintbrush or spray can – Nychos works with unmatched dynamism. His command over his tools indicates a work ethic that promises only more staggering output. His paintings and drawings have been exhibited in galleries worldwide, including six solo exhibitions (Turino, Detroit, New York, San Francisco, Singapore, and Paris) in the past two years alone. 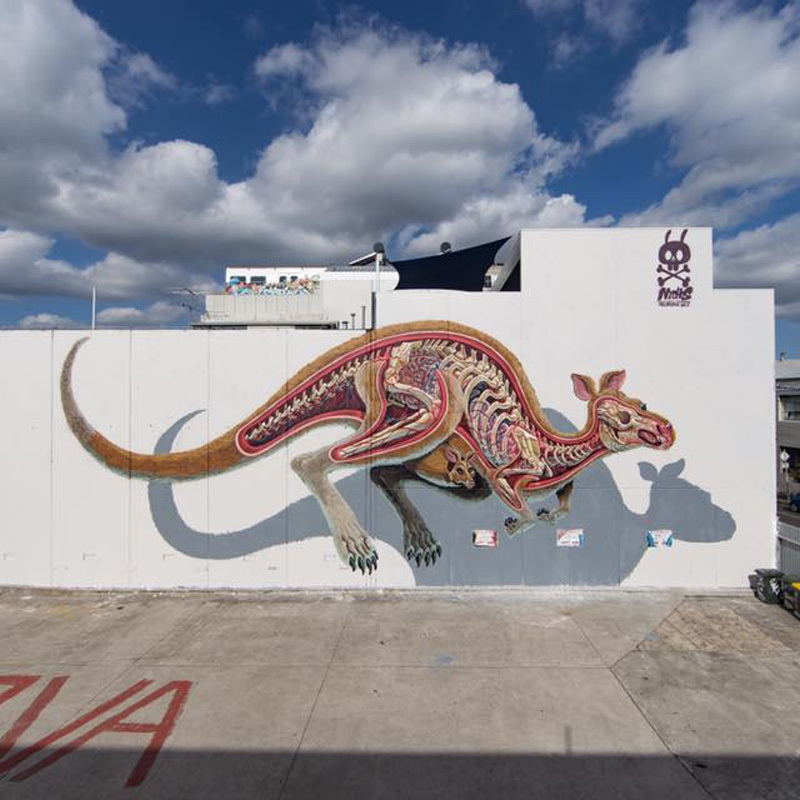 These pieces serve as unique compliments to his massive public works that adorn the walls of cities all over the world. Nychos’ last solo show took place in Zurich in 2015 and a collaboration with Jonathan Levine came in 2016. Nychos currently lives and works out of Rabbit Eye Movement, his studio and art space in Vienna. 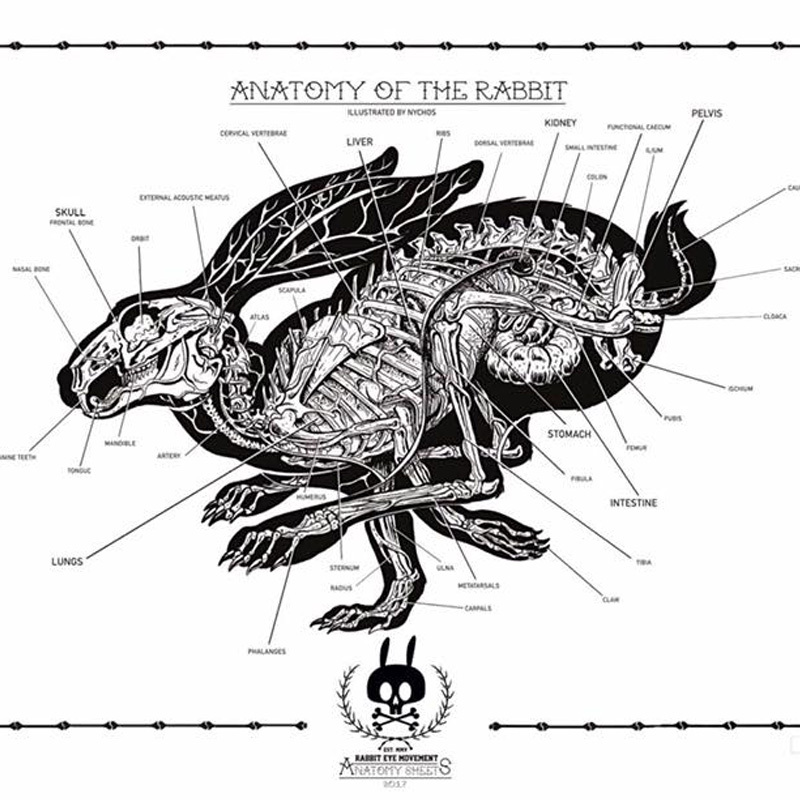 Rabbit Eye Movement (REM) began as a street art concept, created by the urban artist and illustrator Nychos in 2005. The concept defined Nychos’s artwork for the next seven years, and in 2012 REM got a home of its own – located in the heart of Vienna, the Rabbit Eye Movement Art Space is now a full time gallery and agency dedicated to the very movement that created it. REM connects and promotes a network of artists, both national and international, many of them with a background in illustration. The art space is a multi-purpose platform for these artists, acting as both a gallery and a shop selling gear sourced by the artists themselves. With the recent addition of a coffee shop, the REM art space is the perfect place to get your caffeine fix while surrounded by the best contemporary artwork in Vienna.